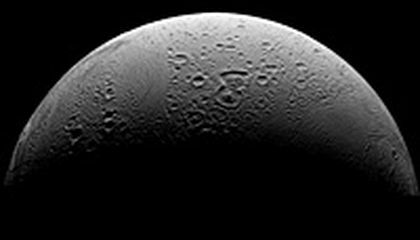 New research suggests there are hot springs bubbling beneath the icy surface of a tiny Saturn moon. If confirmed, it would make the moon Enceladus the only other known body in the solar system besides Earth where hot water and rocks interact underground. Enceladus is pronounced ehn-SEHL'-uh-duhs. That activity would make the moon an even more attractive place in the hunt for microbial life. On Earth, scientists have found weird life forms living in hydrothermal vents on the ocean bottom. What's especially unusual is that there is no sunlight. The research comes from Cassini. It is the NASA-European spacecraft that launched in 1997 to explore Saturn and its numerous moons from orbit. It previously uncovered a vast ocean beneath Enceladus. It spotted a giant plume of gas and ice streaming from cracks in the south polar region. In the latest study, a group led by Cassini team member Sean Hsu of the University of Colorado used spacecraft observations and computer modeling. They showed that the plume is connected to what's happening on the lunar sea floor. Judging by their size and makeup, the team believes particles in the plume are the result of hot water coming into contact with rocks on the ocean floor. The resulting mineral-rich water then shoots up through the icy crust. Then it erupts into space in a plume of gas and ice. 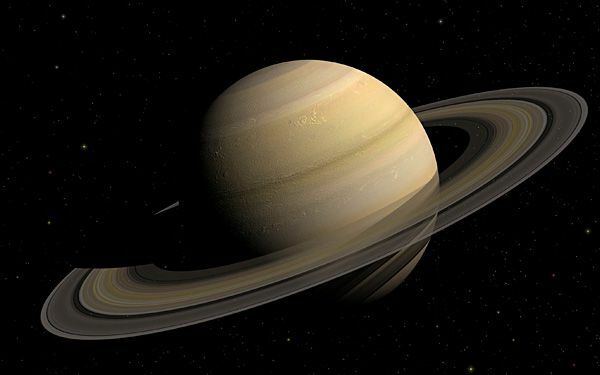 Some particles settle around Saturn, replenishing its biggest ring. The new work also suggests that the ocean is deeper than previous estimates. It is more than 30 miles deep below the icy crust. No details were provided on how big the ocean might be, but the Cassini team last year said it could be as big as or even bigger than North America's Lake Superior. Cassini should get a better glimpse of the plume later this year. That's when it flies through it, passing within 30 miles above Enceladus' surface. In an accompanying editorial, Gabriel Tobie of France's University of Nantes said the environment beneath Enceladus appears similar to the underwater system of hot springs and towering spires nicknamed "LostCity" in the mid-Atlantic. It would take future missions such as a lander on the surface of Enceladus to "fully reveal the secrets of its hot springs," he wrote. Critical thinking challenge: Why is the research based on Cassini instead of astronauts? I think this is cool because this is an opportunity for scientists to find microscopic life in Enceladus. This is essential for science because scientists would now know that life can exist in other planets other than Earth. Answer: The research is based on Cassini instead of astronauts because it would take a long time and it would be risky. I think that it is cool and interesting that there are hot springs underneath the moon of Saturn, Enceladus. A NASA European Spacecraft called Cassini has helped scientists to learn about many thing including the fact that there is a vast ocean underneath the icy surface of Enceladus. It spotted a giant plume of gas and ice streaming from cracks in the south polar region. The plume is connected to whatever activity that is going on one the lunar sea floor. I think that it is fascinating that Enceladus has springs and and ocean underneath it. I wonder how the moon would look. Scientists have learned many things about outer space and will continue to learn many more interesting facts about what is going on outside of Earth.